Have you been to New Orleans? It’s definitely one American city you must see, as it has such a unique culture and charm unlike anywhere else in the country. If you aren’t into the partying atmosphere of Bourbon Street, don’t worry. 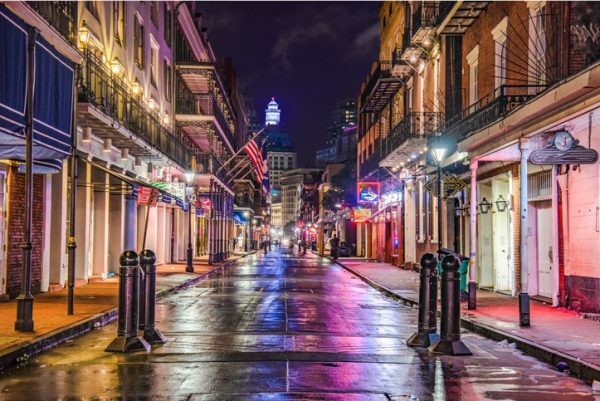 You can visit New Orleans outside of Mardi Gras and still have an incredible time; you may just want to skip Bourbon Street and its abundance of “hurricane” drinks at night ;-). Not surprisingly, the summer months in the bayou are hot and humid. For a milder experience filled with flowers, consider a springtime visit. Fall is also lovely. Before you pick your date, however, check which festivals may be happening during that time, and make it a point to attend. You might miss out on an incredible experience by only a few days otherwise! New Orleans has a fascinating history. The city has been around since the 18th century and has been ruled by both the French and Spanish, creating the Creole culture, one of the most vibrant and unique cultures in the world. New Orleans was also the setting for significant battles during the war of 1812 and the Civil War and is a great place to visit for a dose of culture, history and cuisine. The city has also recovered significantly since Hurricane Katrina and is a great place for visitors once again. To really get a feel for the local culture, indulge in more localized activities or take a tour to learn more. Hang out at a jazz club, see the singing tree that has chimes attached to its branches, visit the stunningly eerie Jazzland or stroll through Mardis Gras World. The best part about visiting New Orleans is the sheer amount of outstanding options of where to stay. A great option is to book a New Orleans vacation rentals, which generally includes houses, apartments and villas. Choose whatever size fits your traveling party. A vacation rental allows for privacy and feels like a home away from home, where you can cook, spread out and possibly even have access to a washer/dryer so you don’t have to pack quite so much. Wherever you stay, New Orleans is worth a spot in your upcoming travels. Is New Orleans on your travel bucket list?